2011 June « THE BRYCE IS RIGHT! 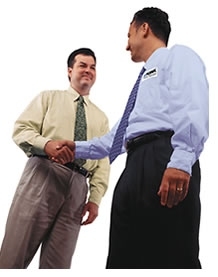 When was the last time you congratulated someone on a job well done? Or perhaps dropped a thank you note in the mail? Or tipped someone generously for good service? Probably not as often as you think. If you are criticizing more than complimenting, you are probably overlooking one of the most effective tools for improving worker performance, the power of appreciation. As humans we all like to believe our work is important and we’re doing a good job. It is a natural part of our self-esteem. At work, we take a lot of criticism particularly in those companies where micromanagement is the norm. We may become callous as a result, and if done too often, it can break any worker’s spirit. If an employee believes he/she is in a no-win situation, they tend to give up and their work degenerates, both in terms of quantity and quality. In other words, they have been emotionally whipped into submission and, in turn, put forth minimal effort. This occurs any time someone feels they are being taken for granted. Every now and then it is important to express a token of appreciation whether it is from a manager to an employee, or worker-to-worker. People naturally tend to respond positively when they believe their efforts are noticed. As humans we crave gratification; we want to know our efforts are appreciated and contribute to the overall good of the business. It helps us realize we are doing a good job as opposed to a bad one. You cannot develop a pride in workmanship if you are not sure you are doing a good job. Both criticisms AND compliments are necessary to give workers a sense of direction. I’m not one who supports “Employee of the Month” programs as I have seen them disrupt the harmony of a company’s teamwork. However, it is important to recognize excellent work, be it in the form of a bonus, a certificate, a lunch or possibly a beer afterwards, or nothing more than a sincere “thank you.” The token should be a genuine sign of appreciation and not just a knee-jerk reaction lacking sincerity, otherwise it loses its credibility and is dismissed by the worker in question. In other words, don’t overplay it, and make it personal. Look the person in the eye, don’t give a flimsy handshake, and speak from the heart, not from a script. In these troubling economic times where people are unsure of their future, where there seems to be a cloud of doubt everywhere, the power of appreciation can work wonders. I am certainly not suggesting you try to make people love you, as I have seen that backfire as well, but to just be fair with people and let them know what they are doing right as well as they are doing wrong. People tend to respond better when they know they are being treated fairly and not abused. Quick, name all of the holidays in June. Some of you might catch Flag Day on June 14th or Fathers Day on Sunday, June 20th, but most of you will assume June is one of the few months where we do not celebrate anything of significance (August is the other). Actually, a day doesn’t go by where someone is celebrating something. Depending on where you are from, June itself is known as the Aquarium Month, Candy Month, Dairy Month, Fight the Filthy Fly Month, and many others. My personal favorite though is National Accordion Awareness Month which, I can only presume, was started by manufacturers of this member of the reed family. There are some rather strange holidays which most of us are not aware of, for example, today is Friday, June 3rd which, of course, is National Doughnut Day (I assume to honor policemen everywhere), and Repeat Day (I said “Repeat Day”). Earlier this week, we celebrated Dare Day and Flip a Coin day on June 1st, and National Bubba Day on the 2nd (“Is that you Bubba?”). Over the weekend we’ll celebrate Applesauce Cake Day, Hug Your Cat Day, and Old Maid’s Day which originated in 1946 after the G.I.’s returned home from World War II (all on June 4th). I guess if you didn’t catch a returning G.I. you would become an Old Maid. The United Nations has designated June 5th as World Environment Day, probably to pacify Al Gore and his greenheads. Actually it was started by the U.N. in 1972 while Al was still at Vanderbilt University. National Chocolate Ice Cream Day (June 7th) – Hershey sponsored no doubt. Iced Tea Day (June 10th) – What, no Dr. Pepper Day? Hug Holiday (June 11th) – You mean, we can hug anyone? Smile Power Day (June 15th) – Thanks Hug Holiday. International Panic Day (June 18th) – Does this include Homeland Security? World Sauntering Day (June 19th) – I thought this was every day. Summer Solstice (June 21st) – Which is the longest day of the year. Log Cabin Day (June 25th) – Does the syrup qualify? Hug Holiday (June 29th) – Twice in one month? Waffle Iron Day (June 29th) – To cook with or hit your spouse? Believe it or not, these holidays are legitimate and can be found on the Internet at: “Holiday Insights.” Unfortunately, this does not include religious holidays, of which there are fifteen in the month of June alone, see “Interfaith Calendar.” And this only covers the English speaking world. For example, June 6th is normally used to commemorate the invasion of Europe by Allied forces during World War II (1944), but it is also “Dragon Boat Day” in China, to celebrate a type of paddle boat. As an aside, June in also the start of the longest holiday of all; school summer vacation. National Colostomy Bag Day – Impress your friends with the tricks and sounds you can make. Brussel Sprouts Appreciation Day – Maybe with some liver thrown in. Kick a Liberal Day – Make it a good swift one to wake him/her up. Send an Illegal Immigrant Home Day – But why make it just one day? International Sterilization Day – For habitual criminals and deadbeats on welfare. Turn off the Main Stream News Media Week – Maybe we should make it for a month or year. Anti Politically Correct Day – first Monday following Turn off the Main Stream Media Week. International Silly Day – As coined by the Monty Python comedy troupe. We need more silly as we take ourselves way too seriously. 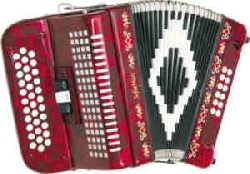 Happy National Accordion Awareness Month everyone. Don’t forget your lederhosen.